How allyuh feel we have grown since 1962 Independence and more significantly, the fact that we are getting near to our diamond anniversary—sixty years—a landmark achievement and a symbol of experience and maturity? Are we on the path to becoming a progressive and liberal society or one of skepticism and apprehension? 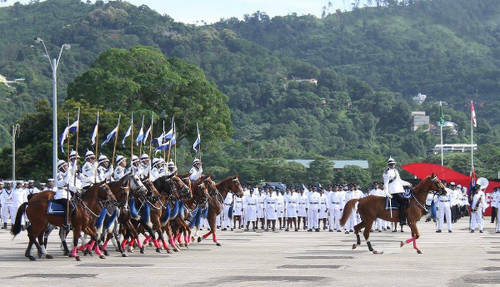 Photo: Trinidad and Tobago Police Service march during the 2017 Independence Day Parade. As we look forward to celebrating and being inebriated with the spirit of merriment, we must be true to ourselves and grade ourselves on our achievement and failures. We have to reflect on the progress we have made and perhaps the missteps and gaffes that have cost us. Allyuh feel that as a nation that has been blessed with hydrocarbon and use this product as a primary source of our economy we have made use of our national patrimony? From 1962 to present there has been a dispute between labour and government on the management of our state-owned company that has resulted in tension-filled industrial fighting. In a broad way, according to Against Wages Newsletter: “labour strength is necessary” since to fight back they will utilise it to not only to fight for current issues such as health, safety and wages, but also to open up the stage for widespread international anti-capitalist activity. Allyuh feel Roget and OWTU is pro-socialist or just fighting to ensure workers union dues are paid even if we are facing daunting economic times? Allyuh think that we are together, that every creed and race is living in harmony? Since we are marked by the colours red and yellow, we have become a country of divided sycophants blindly following political parties and politicians who have only their own interest at hand. 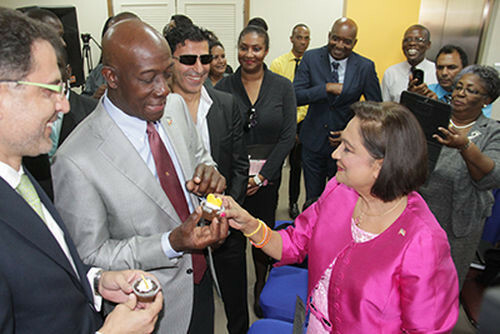 Photo: Leader of the Opposition Kamla Persad-Bissessar (left) and Prime Minister Dr Keith Rowley, share a cupcake. 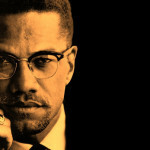 We are cynical to each other; we quantify our existence on class and race; we compete by vilifying each other, and at times we malign based on the standard or station in life of persons. We see it but we deny it because we know that to accept it would create an explosion and a tremor that may top the Richter Scale. Allyuh think we really like each other regardless of which political party we line up behind? What about culture, surely we have transcended and even surpassed our skill and creativity in this sector? We have made Carnival and other indigenous art form like Indian classical music a tapestry of our society. 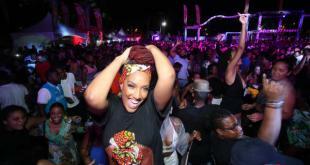 Soca and Chutney music have fused and bring about a melodious symphony that is truly Trinbago. Calypso has kept us informed and knowledgeable about current affairs and we have bestowed accolades and awards to the bards for their contribution to the art-form. But allyuh feel that we have progressed? Allyuh think we have marketed our steel pan and our music enough to have it as a SEA or CXC subject so it remains as part of our symbol and legacy to our generations? 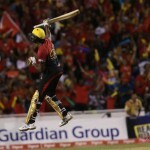 Finally what allyuh think about sports? By now I think we are not skeptical about our progress in this area. To a certain degree we have been successful in sports since independence. We jump and wave our flag when we went to Germany, and we all wanted to pelt the javelin when Keshorn Walcott brought home our second Olympic gold medal. Swimming, boxing, athletics, cricket, and netball—we have made our mark on the world stage beating more established countries in these disciplines. 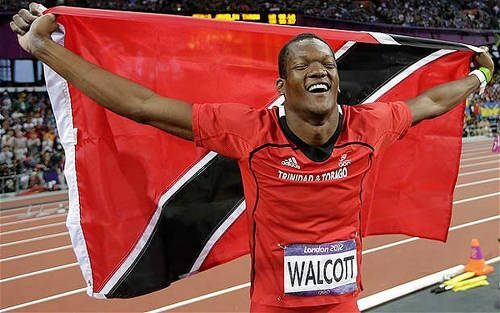 Photo: Trinidad and Tobago’s Keshorn Walcott celebrates after securing gold at the London 2012 Olympic Games. But allyuh feel that lack of the principles of management is absent in most of our sporting bodies? That persons at the helm lack the professionalism and effectiveness where at every point there is always a concern about funding or lack of transparency and that if there was better management, we might be in a better position in comparison to our rival Caribbean cousin in the north. What allyuh think? What allyuh think? Have we progressed since 1962? Are we fearful that as we approach our 56th independence anniversary we are far from being on the right road to becoming a progressive and tolerant society? It is my firm belief that we must be optimistic about the road ahead. We will have growing pains and challenges, but we have to endure, we have to band together and refrain from becoming cynical about our country, because this land with all its intricacies and uniqueness, is still one where we could laugh at ourselves. What allyuh think: pass or fail grade? 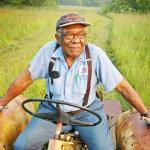 Dear Editor: Is it too much to ask for more inspirational front page photos from the media? I will give us a passing grade of 50% because we are not as bad as other countries and we do have a lot to be grateful for, despite the few in our society who don’t have our best interest at heart. However we still have a long way to go. As a nation we are to reactive and we need to be more proactive. When you fail to plan, prepare to fail. So a bit for fore thinking is needed and we may just make it to 75% in a few years.